Slim, trim and everything you need to get the most out of your Netbook! Featuring Smart-Burn Technology! PC Treasures' CD/DVD-RW is one of the most useful components you'll ever buy. Featuring the industry workhorse LG/Hitachi drive mechanism and supporting both 8cm and 12cm CD/DVDs, this streamlined powerhouse works right out of the box - no software or drivers to install. And because it runs off your netbook's USB port (with the included cable), there are no external power cords to tie you down. 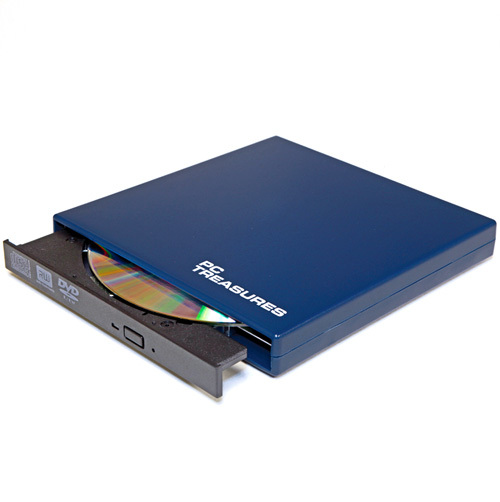 Watch your favorite movies, save your latest CD, and make hard copies of your most important files - PC Treasures' CD/DVD-RW makes it all possible. Color: Navy. Compatible with all Windows®* and Mac® operating systems. 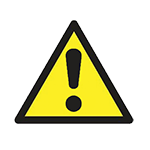 WARNING: Not intended for duplicating copyrighted or copy encrypted materials. *Windows is a registered trademark of Microsoft Corporation, Mac is a registered trademark of Apple, Inc.